Microdermabrasion skin resurfacing and hydration polishing the skin. Medical Microdermabrasion with DiamondTome Skin Resurfacing and Hydro Wand System offers a simple, gentle yet precise and effective solution to a wide range of skin conditions. This unique deep exfoliation treatment uses diamond chips to polish the skin revealing an instant radiance and natural luminosity. 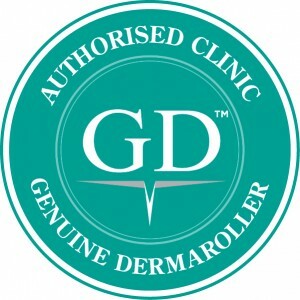 At the Harbourside Clinic, all our facial treatments are tailored and individualised to meet your skin’s requirements. The Harbourside luxury hydroinfusion treatment incorporates the Hydro Wand, infusing carefully selected serums into the skin, enhancing the outcome of your treatment. Microdermabrasion can be a single treatment for that perfect skin pick me up! Or for best results, a course of treatments may be recommended. Treatment areas can include the face, neck and décolletage. Boost any of our facial treatments with the Luxury Image Anti-aging or Hydrating Biomolecular Sheet Mask. Infused with volcanic highly oxygenated magma water and natural mineral essence this next generation hydrogel technology allows the mask to breathe and trap moisture, helping active ingredients absorb deeper into the skin. Firms, lifts and revitalises the skin. This 50 minute treatment offers an exfoliating hydrofacial whereby Hydro Wand infuses carefully selected serums into the skin enhancing the outcome of your treatment, followed by the Luxury Image Anti-aging or Hydrating Biomolecular Sheet Mask. Infused with volcanic highly oxygenated magma water and natural mineral essence, this next generation hydrogel technology allows the mask to breathe and trap moisture, helping active ingredients absorb deeper into the skin. 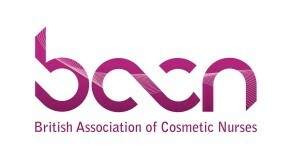 Firms, lifts and revitalises the skin. This 35 minute treatment offers a deep exfoliation and diamond peel to the face and neck. Following this, two carefully selected cosmeceutical masks are applied to target your skin needs, leaving the skin bright, fresh, glowing and ultra smooth. This 40 minute treatment offers a deep exfoliation and diamond peel to the face and neck, following this a tightening enzyme mask is applied. This treatment leaves the skin looking tighter and brighter and feeling fresh. This 35 minute treatment focuses on the eye area with specific eye treatments to reduce the appearance of dark circle, lines and puffiness. A full face deep exfoliation and diamond peel is carried out and carefully selected cosmeceutical masks applied to target your skin needs. The DiamondTome wands remove the top layer of dead skin by gently exfoliating the skin with natural diamond chips, each wand has a different level of abrasion which will be chosen depending on your skin requirements. An adjustable vacuum stimulates blood flow and vacuums away dead skin in a sterile and controlled manner. The Hydro Wand infuses carefully selected serums specific to your skin needs. Hydrating enzyme and anti-ageing masks with nourishing vitamins will hydrate, brighten and stimulate collagen, leaving your skin feeling soft and ultra smooth. 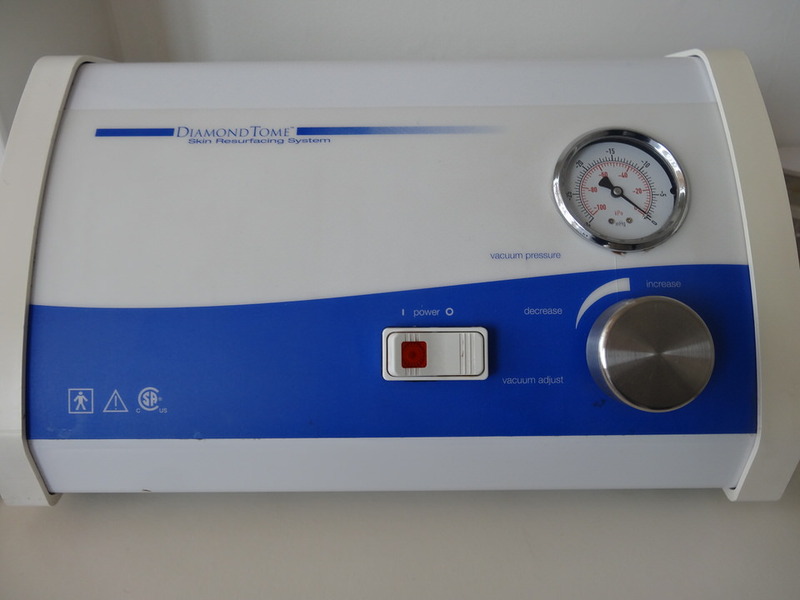 Unlike other exfoliation treatments DiamondTome does not make the skin inflamed or irritated. Your skin may look slightly flushed immediately following treatment, this returns to normal after 10-30 minutes. After care advice will be given and discussed in detail. This is a painless, comfortable and gentle treatment. It is non-invasive and requires no downtime. Both treatments offer an immediate boost to the skin and stimulate collagen. Microdermabrasion mechanically resurfaces and exfoliates the skin, whilst a peel removes dead skin cells and resurfaces the skin chemically. 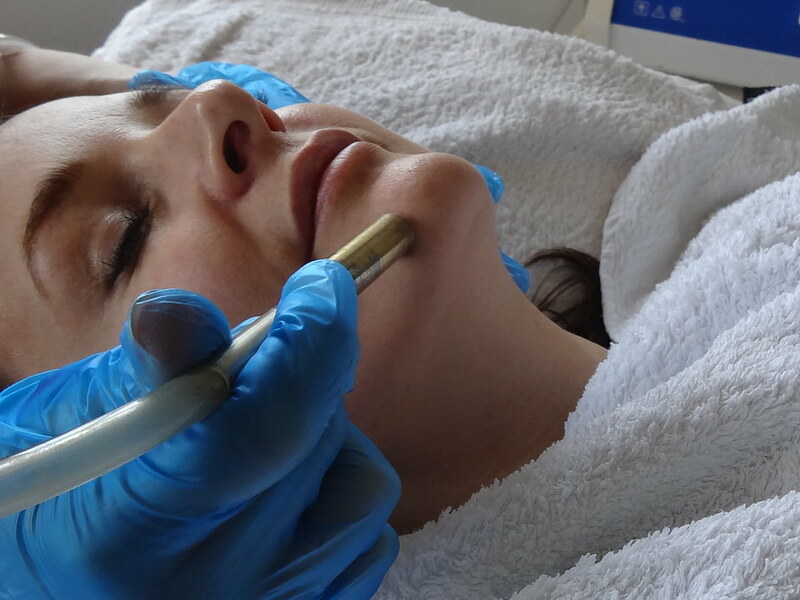 Certain skin conditions such as pigmentation and acne will benefit more from a chemical peel, whilst other skin conditions such as congested skin and blocked pores are better treated with Microdermabrasion. 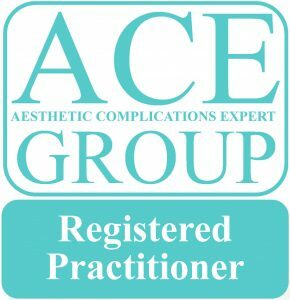 Your practitioner will recommend the most suitable treatment with you following a comprehensive consultation.